Elegant four strands real Temple Jewellery Pearl Mala for classical dancers. This classic original Temple Jewellery pearl mala has Pearl hanging Peacock dollar pendant with Kemp Red, white and Green stones. 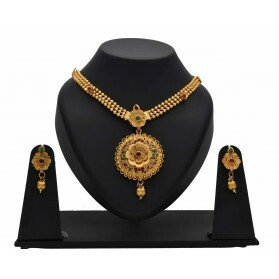 This elegant long necklace is best suited to be worn to a temple or paired with classical dance costumes like Bharathanatyam, Kuchipudi and Mohiniyattam. This Pearl mala design is a Imitation of traditional temple jewelry used for Indian classical dances. 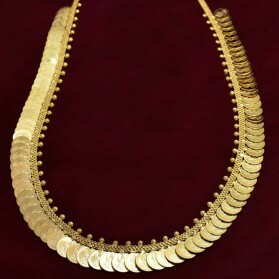 This piece of jewelry can be used for Bharatanatyam and Kuchipudi dance or other Indian dance performances. After use, wrap it in a soft cloth. This four-line white pearl mala design with red and white stone peacock pendant is an Imitation of traditional temple jewellery used for Indian classical dances. This piece of jewellery can be used for Bharatanatyam, Mohiniyattam and Kuchipudi dance or other Indian dance performances. After use, wrap it in a soft cloth. 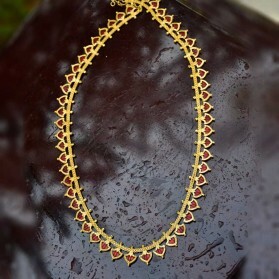 This high quality gold plated three-line white pearl mala design with red and white stone peacock pendant is an Imitation of traditional temple jewellery used for Indian classical dances. 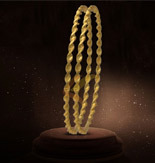 This piece of jewellery can be used for Bharatanatyam, Mohiniyattam and Kuchipudi dance or other Indian dance performances. After use, wrap it in a soft cloth. Elegant Four Layer Green Original Temple Pearl Mala. 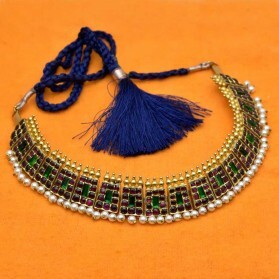 This classic original Temple jewellery have original Glass Cabochons green stones and White AD stones studded peacock dollar with pearl hangings. This Indian traditional ornament is paired with classical dance costumes like Bharathanatyam, Kuchipudi and Mohiniyattam. 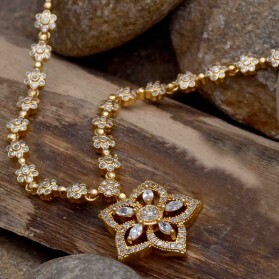 The long chain is a large Pearl Hanging Mango Haram set with Kemp and Green stones. It is best suited to be worn to a temple and paired with classical dance costumes like Kuchipudi and Mohiniyattam.